If you are planning to move out soon, then you probably will have to make a thorough and deep cleaning of your leased property. In case you want to invest your time in more important things, feel free to book our immaculate end of tenancy cleaning services available in the entire Tottenham, N17. We are a progressive cleaning company and offer a variety of services but our cleaning experts are masters at end of tenancy cleaning. 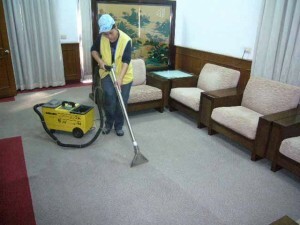 They have all the required experience and skills to ensure the level of cleanliness that your landlord expects to see. We understand that moving out can cause stress to our customers, therefore our main priority is to provide a proper cleaning solution to everyone and ensure a cleaning in accordance with the highest standard. Therefore all cleaners in our staff are fully trained and equipped with the most efficient cleaning tools and detergents. Choose our company and we will make your rented property as clean as your landlord wants it to be. Our vetted and friendly cleaners will stay with you until every room is cleaned entirely. Thanks to their strong will and positive can do attitude every trace of dirt will be eliminated completely. Our end of tenancy cleaning is suitable for everyone. No matter if you are a tenant, a landlord or an estate agent, we have all that it takes to provide you with an efficient cleaning solution. Everyone who needs end of tenancy cleaning services in Tottenham, N17 is welcome to turn to our company. We have a flexible schedule, which allows us to respond quickly to every request. Get in touch with our customer care agents and you will receive detailed information about our company. In case you are looking for professional end of tenancy cleaning services, we are sure that you would find our help very beneficial. Tottenham is the area where we have been operating for a considerable amount of years already. If the property is located anywhere in this area, do not hesitate to book our amazing services. We will take care of everything and will secure your deposit. We are widely experienced in this field and we have the confidence that we are able to fascinate even the most demanding landlords. We hope to hear from you very soon.